2018 has been a WOW! kind of year. Regardless of what side of the table you sit on, we can agree at least on one thing: 2018 has been an interesting, exciting, challenging and somewhat chaotic year. While it is easy to focus on the chaos, this end of the year reflection will focus on two positives from this year’s article series that helped us to take a closer look at autism and our responsibility for sustainability and recycling. In April, during National Autism Awareness Month, this column informed you that according to the Centers for Disease Control, about 1 percent of the world population has ASD and the prevalence in the United States is estimated at 1 in 68 births. (CDC, 2014). There is no certain look that people with autism have that sets them apart from others; but people with ASD, according to the CDC, may communicate, interact, behave and learn in ways that are different from most other people. Parents and guardians were reminded if they or their doctor are concerned about their child’s development, ask the doctor for a referral to a specialist who can do a more in-depth evaluation of your child. Further, the CDC recommends calling your state’s public early childhood system to request a free evaluation to find out if your child qualifies for intervention services. This is sometimes called a Child Find evaluation. You do not need to wait for a doctor’s referral or a medical diagnosis to make this call. Reader response revealed they found most inspiring the articles that ran in July regarding “Recycling and Sustainability.” In Genesis, God commanded humans to be fruitful, fill the Earth and subdue it. Accordingly, dominion involved the stewardship of God’s property. We were informed the reasons we must recycle for sustainability are: (1) Because it is a mandate from God. The world God created is beautiful and incredible and it deserves our intentional good treatment of it; (2) for the long-term benefits; and (3) to preserve a sustainable ecosystem. God has already supplied everything within our ecosystem for life to survive and sustain itself. Readers were encouraged to reduce, reuse and recycle so that we may exist in accord with the surrounding environments and thus contribute to a sustainable ecosystem. Even as we reflect on 2018, we look forward to 2019. 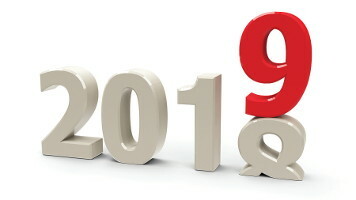 I want to encourage each of you that, regardless of what we watch, listen to or read in the daily news, or whatever trials and tribulations you go through in 2019 and beyond, trust God in all situations in life, hold fast to the Lord’s unchanging hands as you daily walk with the Lord and the peace of God, which transcends all understanding, will guard your hearts and your minds in Christ Jesus (Phil. 4:7). As always, it has been a blessing sharing with you this year. After the holiday break, I’ll see you in January. In the meantime, I pray you and your loved ones enjoy a safe, blessed and love-filled holiday season. I look forward to sharing with you in 2019! The writer does not assume responsibility in any way for readers’ efforts to apply rely or utilize information or recommendations made in this article, as they may not be necessarily appropriate for every situation to which they may refer. This information is for educational purposes only. If you would like to contact Rev. Lester, write to her c/o P.O. Box 121, Brookfield, WI. 53008.